Real Life LEED: The ID Credit Gold Box! This may be old news for some of you, but for those of you who haven't seen the "Innovation in Design Credit Catalog" from the USGBC you're really missing out! This is essentially a giant, FREE spreadsheet that chronicles EVERY IDc1 credit submitted (and presumably accepted) before the Summer of 2007. Much like any commercial for financial services, there is a disclaimer that essentially says "past performance does not indicate future results". With that in mind, you can't assume that directly copying one of these past strategies will work for you. Forgive me for my point-mongering ways, but if you're right on the border between gold and silver you might find a few things already in your project that you could submit if you have a few IDc1 slots left (there are four total). These are organized by category. I was surprised by how little it can take to get a point. 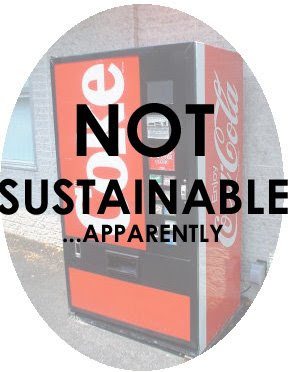 One project applied for a point by stating that the owner would provide all employees with reusable coffee mugs to reduce waste, along with using fountain drink machines instead of can dispensers. While a great idea, this probably costs next to nothing and could be used in any project. As a whole though, most of the submissions were rather robust examples of great sustainable design ideas. If you have any suggestions for great ID ideas that could work for many projects, please share you thoughts in the comments section! I read pretty much everything on the right side of the screen... If I had to pick my faves it would be BuildingGreenSuite, InTheLEED, AREforum and Archinect... SallyTV's got some pretty interesting drunken posts as well, along with a killer review of lamps by yours truly. Hi, when I tried to access the ID catalog, I couldnt access it anymore. Is there anyway I can get hold of this invaluable spreadsheet? Thanks! I was wondering if you know if the waste reduction aproach to provide mugs for employees, is actually an innovation in design point. I have being reading the CIR online, but that one doesn't appear anywhere. I need one more innovation in design point to submit my documentaion. The link seems to be back up agin, since I clicked on it and got right to the document...this is great! We're doing a LEED CS building and are scraping for 1 or 2 points to make sure we hit LEED Silver and some of these ideas might help...looking forward to going through this! Any idea of when GBCI might up date this with the ones that were ruled to be acceptable and list new ideas that have been submitted? a lot has changed in the world of green buildings in the last 2 or 3 years. We have registered a project under LEED CS and CI. Do you know if you can use the same ID credit for the 2 versions? has anyone had an ID credit approved for just using Ultraviolet coils in the airhandeler to improve the IAQ?